CHICAGO, June 14, 2018 /PRNewswire/ — Greeley and Hansen’s Val S. Frenkel, Ph.D., PE, D.WRE, Vice President of Process Engineering and Managing Director of Pacific Coast Operations, has been appointed to the American Water Works Association (AWWA) Technical & Educational Council (TEC). Dr. Frenkel, a prominent figure in the water industry and a recognized global expert on water reuse, desalination, and membrane technologies, will serve a three-year term as a Member-at-Large. The TEC promotes the objectives of the Association through its eight divisions and over 60 working committees, as well as the Annual Conference technical program, specialty conferences, and the development of manuals, handbooks, and videos. In conjunction with his new appointment to TEC, Dr. Frenkel will complete his term as Chair of the AWWA Desalting Committee, but he will continue to serve on the AWWA Planning Committee. “I’m honored to now serve on the Technical & Educational Council to help advance AWWA’s mission to share knowledge and sustainable solutions for the effective management of water resources with water professionals worldwide,” said Dr. Frenkel. 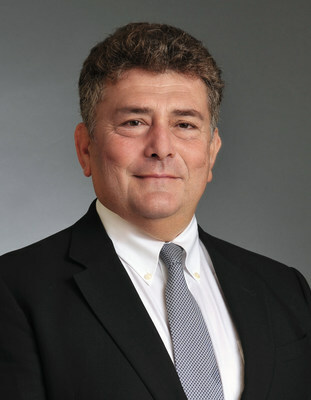 “In addition to his extensive experience with conventional water and wastewater treatment technologies, Dr. Frenkel’s advanced work in the development and application of leading edge water reuse and desalination processes, as well as membrane technologies, truly set him apart as an esteemed international expert in our industry,” said John C. Robak, President of Greeley and Hansen and Director of International Operations. A prolific author of more than 100 articles and presentations on a vast range of water treatment process and technology topics, Dr. Frenkel has also contributed chapters to several industry-wide Manuals of Practice for the AWWA and the Water Environment Federation. In addition, he is a founding Diplomate of the American Academy of Water Resources Engineers (D.WRE) and has authored numerous patents for various water treatment methods and processes.